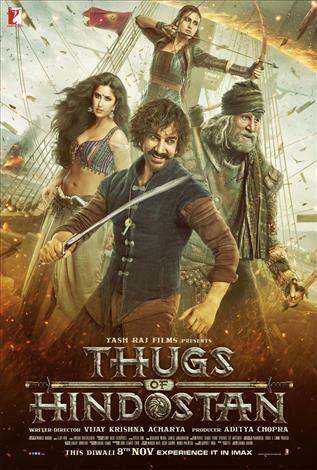 Vijay Krishna Acharya (Victor), the writer-director of the all-time YRF blockbuster DHOOM:3, teams up once again with Aamir Khan in THUGS OF HINDOSTAN along with Amitabh Bachchan to give the audience a never seen before experience of larger than life filmmaking! This YRF film holds a double bonanza by bringing together Amitabh Bachchan and Aamir Khan together for the first time ever. That in itself, is film lore in making!